Living Area 788 Sq. ft. Step out your back door to prime fishing on the Wilson River! 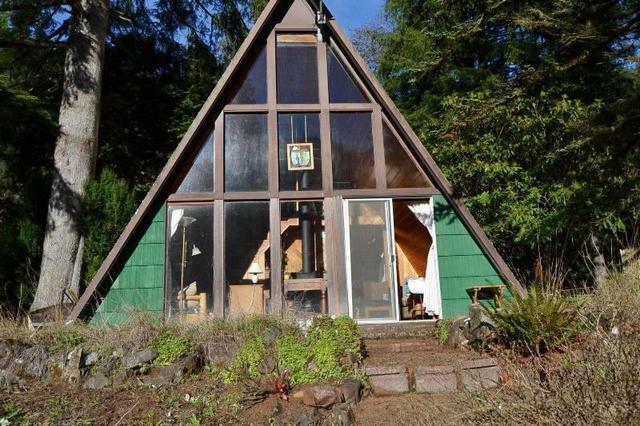 This unique 1 bed, 1 bath A-frame sits on .70 acres with beautiful views and river frontage. Lovely landscaped property with a peaceful, private setting. Light and bright home with tons of windows and a cozy woodstove. Carport and shed included for extra storage. The cabin is completely furnished and ready to enjoy your vacation getaway.